For people that are selling a home for the first time, the anxiety can be very similar to buying a first home. However, following a tested method for selling a home and trusting in the experts can make the whole process much smoother. 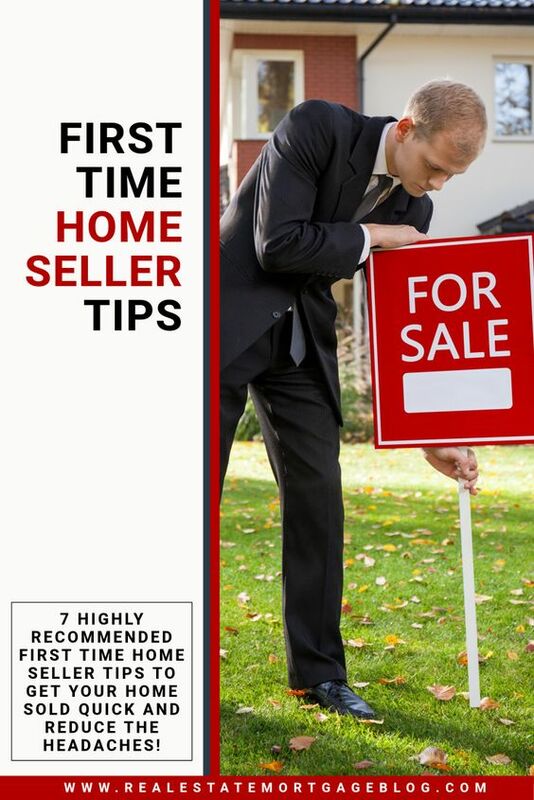 Here are our recommended tips for the first time home seller to get the home sold and reduce headaches. We list this first because it is the most important step. According to the National Association of Realtors, less than 10% of homes are successfully sold by owners that do not use an agent. That means 90% of home transactions involve an agent. Find an agent with a good track record of selling homes in your neighborhood and your general area, and you are headed on the right path to getting the property sold. After choosing an agent, you can learn the market value of your home. The agent will have access to all the properties that have sold in the past few months or even the past year. By looking at homes with a similar design, approximate square footage as your home and places that have comparable amenities to your home, you can get an idea of the right price for your place. Remember when you were house shopping? Remember how you inspected each home with a careful eye, choosing the features that you really liked and discarding properties that seemed to have an issue? It is time to go through that process again. Take a deep breath, walk outside the front door, and take a long hard look at your home. Look over every detail and be honest with yourself about the condition of the place. Get things fixed or updated now before buyers come to look at the place. After getting the home ready for listing and hiring a real estate agent, it is now time to find out when the home should be listed. The agent can look at data from the recent sales to find out when is the right time to sell as well as what time periods to avoid. Combining this information with the right sales price makes it much easier to garner the attention of potential buyers. With the home cleaned and ready for buyers, now is the time to get rid of things that are no longer needed or store things to remove your personality from the home. Your agent can provide tips about staging. Or you can consult with a professional home stager. The goal is to make the home attractive and inviting, but not make it seem like it can only fit you and nobody else. Staging the home can create an inviting atmosphere that speaks to multiple buyers.